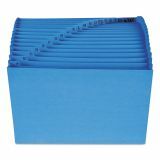 Desktop alphabetic file with antimicrobial product protection. 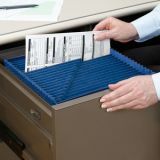 Treated to resist the growth of bacteria, mold and mildew that can cause stains, odors and product deterioration. 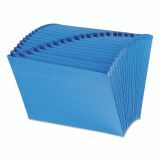 Full-height colored gusset with clear poly tape reinforcement at top. 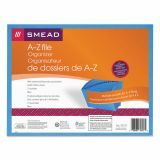 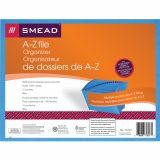 Smead A-Z Expanding File w/Product Protection, 21 Pockets, Letter, Blue - Our popular desktop alphabetic file with antimicrobial product protection. 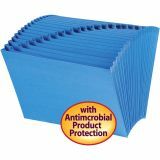 Product treated to resist the growth of bacteria, mold and mildew that can cause stains, odors and product deterioration. 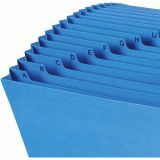 This 21-pocket organizer is indexed alphabetically (A-Z) for quick filing. Open design provides easy access to important documents.